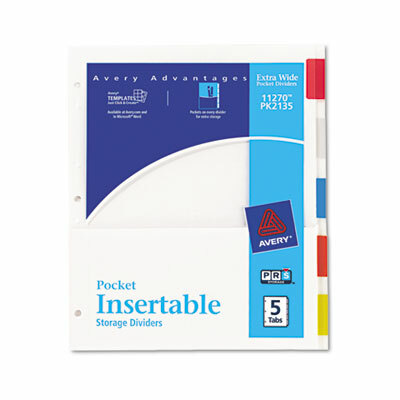 Durable pocket on each reinforced divider can hold CD or loose papers. Durable pocket on each reinforced divider can hold CD or loose papers. Rip Proof™ tabs! Three-hole punched for use in standard ring binders. Laser and inkjet printer compatible.